machine, it might be used to dig, smooth, or move material. We offer a full range of earthmoving equipment for rent. 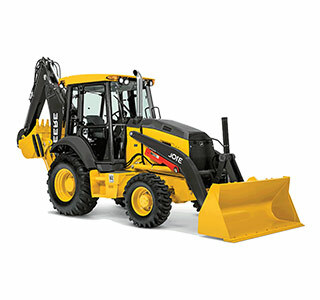 Backhoe loaders are one of the most versatile types of equipment used on construction sites.They can excavate and dig in most any kind of soil and can also handle many human-made materials. Unlike some other types of equipment only needed for large jobs, even the smallest of construction projects often require the help of a backhoe. The defining feature of this vehicle is where it gets its name: the backhoe, the piece mounted on the back of the machine. The name comes from the movement of the shovel, which digs by forcing the dirt backward rather than pushing it forward. It also comes with a digging bucket attached to the arm. Depending on the machine, there may also be a coupler that allows for the use of various attachments. We offer mini, standard, and large backhoes for rent. Bobcat is a significant name in construction, and with good reason; this American brand creates some of the very best earthmoving equipment on the market. Bobcat makes a variety of machines, including skid steer loaders, compact excavators, compact utility vehicles, compact tractors, and other hydraulic machinery. Sometimes you will hear people refer to a specific type of machine as a Bobcat. In most cases, this is about skid steer loaders, which is the first type of machinery the company made. 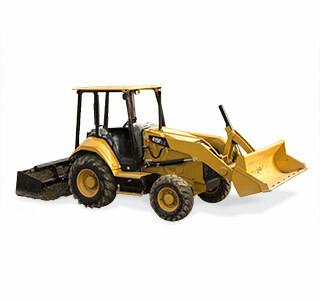 However, not every skid steer loader is Bobcat brand and not all Bobcats are skid steer loaders. 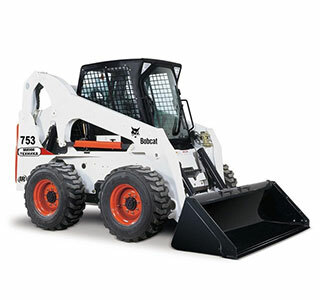 We carry a wide variety of Bobcat equipment for rental or purchase. When you need to move a lot of dirt, small types of equipment are not efficient. For these tasks, you will require the assistance of an excavator. These machines are for digging jobs that need a lot of extensive excavation, which is why they are often called diggers. Excavators have four primary components: the boom, the dipper or stick, the bucket, and the cab. The cab is on a movable platform that can rotate 360 degrees. This is attached to the frame, which moves on either crawler tracks or wheels. Excavators can either be hydraulic or cable-operated; we offer both. There are also different types, such as dragline, long reach, and skid steer, all of which we can provide you. 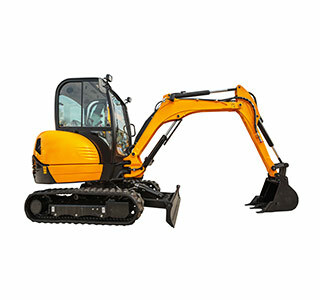 We also stock excavators in various sizes, from those small enough to drive through the typical household front door to models designed for industrial work. Skip loaders go by many different names, including front loader, tractor loader, and bucket loader. It is a type of machine designed to load and move materials. In some areas of the country, they are for plowing snow as well. It is used in builds of all sizes to move soil and debris. The exact set up of a loader will depend on the make and model of the machine. Most will have a shovel and a bucket or scoop and an arm to control that bucket or scoop. These machines are generally small, about the size of a car. The overall appearance is that of a tractor with attachments on the front and back.